Sognefjord cruise & Balestrand village is a relaxing trip with Fjord cruises on the Sognefjord & the beautiful Aurlandsfjord branch, Flam Railway & Bergen rail line. 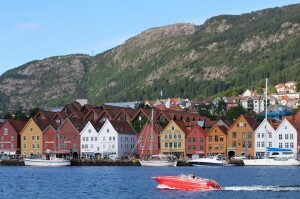 Starting with a night in Oslo, then 2 nights in the beautiful Balestrand fjord village & 1 night in picturesque Bergen. 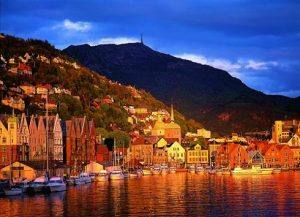 Individual arrival and check in at a centrally located hotel. 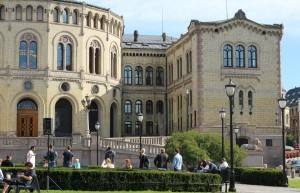 Oslo is beautifully located by the Oslo fjord, surrounded by forested hills. In Oslo you can visit the Viking ship museum, the Holmenkollen Ski jump, the Vigeland sculpture park. 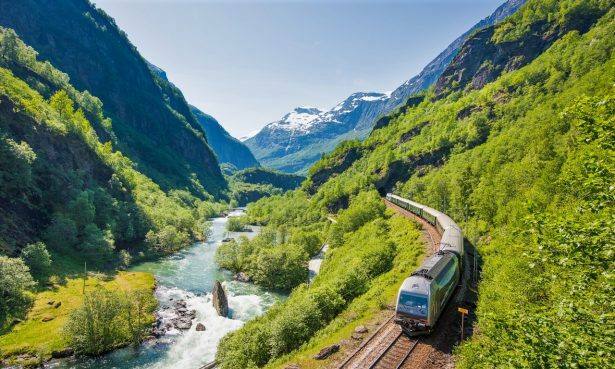 Morning departure by the Bergen line, taking you through the scenic Hallingdal valley and across the spectacular Hardangervidda mountain plateau to the mountain station of Myrdal. 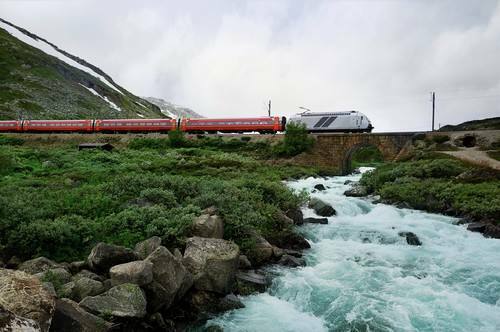 It is the highest mainline railway line in Northern Europe crossing the Hardangervidda mountain plateau at 1300 meters above sea level. The line is some 500 kilometers long, and Finse is the highest station with an altitude of 1222 meters above sea level. 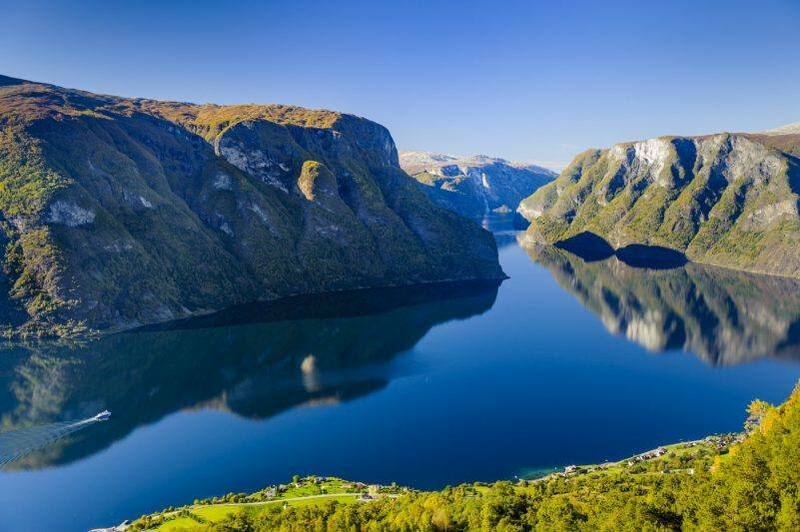 At the tiny Myrdal station you change to the famous Flam Railway for an unforgettable descend from mountain to fjord through the Flam valley, with mountain peaks, cascading waterfalls, tiny farms and the beautiful river. 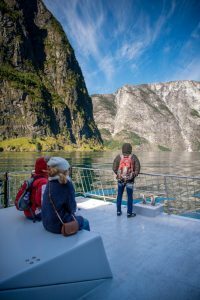 In Flam village you board an express boat for a fjord cruise on the spectacular Aurlandsfjord & the majestic Sognefjord. 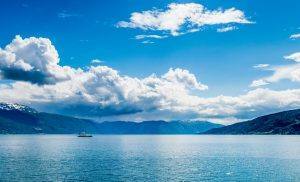 Disembark in the beautifully located Balestrand village. 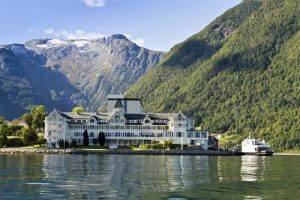 Spend 2 nights in Balestrand at the historic Kviknes Hotel,in room w. fjord view. 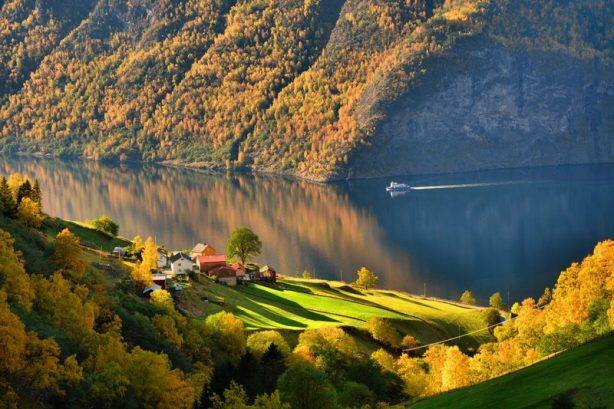 Buffet dinner included. 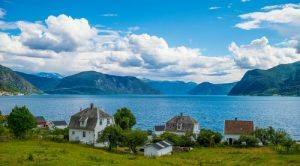 Balestrand is surrounded by mountain peaks, with beautiful views of the Sognefjord & the Fjaerlandfjord branch. The village is home to a selection of authentic, wooden Swiss style villas & the wooden, historic Kvikne’s hotel & art galleries. You can follow the interesting, well marked cultural trail or one of the marked mountain hiking trails for an active day. 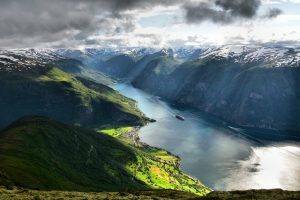 passing through narrow straits. 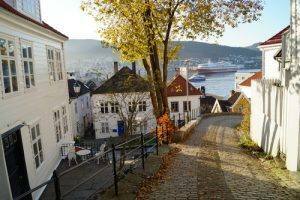 The boat takes you to the very heart of Bergen, close to the fish market. 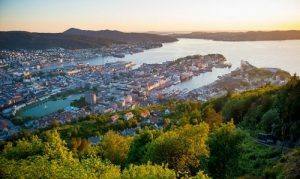 4 nights trip from Bergen to Oslo.